The Management Committee is delighted to welcome Antoinette Augustinus and Suzanne Lanham to the management committee. Antoinette will be managing the role of organisation Secretary and she will be supported by Suzanne who will be the Minutes Secretary. They bring different and important skills to the group ensuring a better-equipped management committee. In addition, they are passionate gardeners and land carers. To learn more about both of them see their biography below. Antoinette Augustinus (Secretary) My work as an Assistant Pharmacist in the Netherlands and later, my studies in Naturopathy and Homeopathy in South Africa, naturally caused me to take an interest in the environment, agricultural practices and how they impact on human and animal health and nutrition. 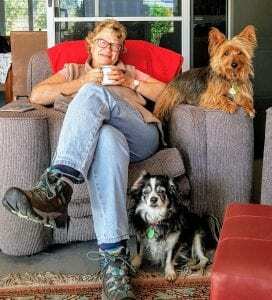 In 1982 I opened the ‘Natural Health Centre’ in Gympie which became a busy practice, and subsequently, I gave post-graduate lectures in Homeopathic medicine throughout Australia as well as teaching at a college on the Gold Coast. Meanwhile, I put organic and permaculture principles in practice in my paddocks and gardens from Gympie to Tamborine and Tasmania. Field Days on Biodynamic farming that I attended on a sheep property in Tassie showed remarkable improvement in their soil, so I applied those practices to my horse paddock and the resulting quality of the horse manure transported into my garden helped to grow fantastic fruit crops especially on the heirloom varieties of apples that I planted whilst I lived there. 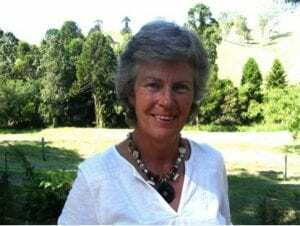 I feel very passionate about preserving and restoring our precious environment in the Gympie Region, I may not be able to influence the rest of the world, but agree that we can think globally and act locally…Therefore, it goes without saying that Landcare is such a fantastic organisation for all of us to learn, share and act, so I am honoured to be able to do my bit as part of the GDLC management committee, and learn as much as I can to make a difference and join with like-minded people in the region. Suzanne Lanham (Minutes Secretary) By way of quick summary to explain how I got here: born in Nambour, grew up on a farm, (first dairy then cotton), in Theodore, left to work in big bad cities like Brisbane, Townsville, and Canberra for education and a career as a Human Resource practitioner in the Australian Public Service after a very enjoyable four years or so travelling and working in Europe. After leaving the Public Service, I had my own business as a Human Resources Consultant for a number of years, before buying my block of land at Woolooga in 2006 as a precursor to making the move from Brisbane in 2008 after my Dad passed away. I had always been a gardener in my various homes, was adamant I didn’t want to be a little old lady in the city and was intent on becoming as self-sufficient as possible. My criteria for my future home included having good soil and a dam for gardening purposes, both of which I found at Woolooga. (I am also walking distance to the Woolooga Hotel, which I have to confess, played some part in my choice of location.) I have an acre and a half of land which was previously part of a cattle property, and which had not a single tree on it. I lived in a caravan on my block for 15 months after the 2011 flood, keeping myself occupied by relocating granite rocks and stones to form veggie gardens while I planned the construction of my house. I then moved into my new home in 2012, since which time I’ve been busy planting and enjoying the fruits of my labours. 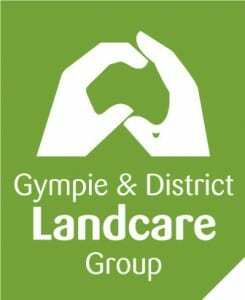 I’ve been in the Landcare volunteer team on and off since about 2015, and enjoy the camaraderie of the like-minded people I work with. I love watching my block becoming populated with maturing native plants, and knowing that I have provided food and home for my hive of native bees and the many birds which visit me.